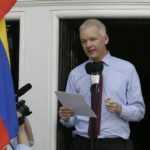 12 Apr 2019 – The Trump DOJ is exploiting animosity toward Assange to launch a thinly disguised effort to criminalize core functions of investigative journalism. 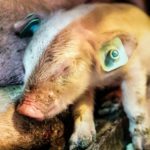 28 Mar 2019 – Our first episode debuts today: it is time for humanity to grapple with its treatment of animals and the multilevel damage done by animal agriculture. 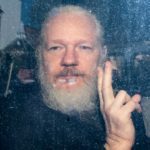 10 Mar 2019 – Independent journalists skeptical of government claims proved these lies weeks ago, but the propagandistic U.S. media ignored them. 21 Nov 2018 – U.S. elites who have armed and funded the world’s worst monsters pretend to be offended by Trump’s support for the Saudis. 21 Sep 2018 – Moore’s new film will surprise, please, disturb, disgust and anger everyone – for different reasons – and that’s what makes it so worthwhile. 21 Jul 2018 – Ecuador’s President Lenin Moreno traveled to London yesterday for the ostensible purpose of speaking at the 2018 Global Disabilities Summit. 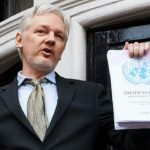 The concealed, actual purpose of the President’s trip is to meet with British officials to withdraw its asylum protection of Julian Assange and then hand over the WikiLeaks founder to British authorities. 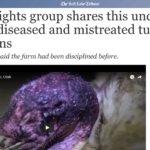 17 May 2018 – An investigation into Ridglan Farms shines a light on a largely hidden industry that breeds and cages dogs for the sole purpose of experimentation. This article includes graphic images that some readers may find disturbing. 16 May 2018 – In an exclusive interview, the former Ecuadorian leader speaks about Assange, allegations from The Guardian, and the “submissive” posture of his successor to the U.S.
4 May 2018 – With the agricultural industry’s “ag-gag” laws dying in court, it appears to be turning to new tactics to silence activists and journalists who expose its abuses. This article includes graphic images and video some readers may find disturbing. 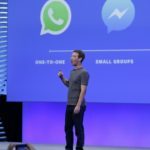 30 Dec 2017 – Facebook has been on a censorship rampage against Palestinian activists who protest the decades-long, illegal Israeli occupation, all directed and determined by Israeli officials. Indeed, Israeli officials have been publicly boasting about how obedient Facebook is when it comes to Israeli censorship orders. 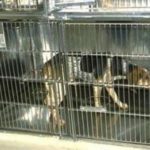 1 Nov 2017 – As industrial animal abuse worsens, the animal rights movement is transforming and growing, and its new tactics are finding success. This article includes graphic images some readers may find disturbing. Systematic abuse of animals lies at the heart of U.S. industrial farms, which are protected by the government. Despite a crackdown on activists, the public is seeing the barbarism. If hate speech laws existed in the U.S., their prime targets would be pro-Palestinian groups, Muslims, atheists, Black Lives Matter activists, and antifa. 3 Ago 2017 – Os mesmos pomposos deputados de direita e de centro que doze meses atrás se disfarçaram, sem pudor, com a ética, a religião e a moralidade pelo impeachment de Dilma, se juntaram para defender seu criminoso de estimação, que governa o país. Os votos dos deputados foram comprados por Temer usando dinheiro público. O Presidente passou os últimos dois meses fisgando, um a um, os deputados para dar-lhes um banho de generosidade até que eles aceitassem bloquear qualquer investigação. 3 Aug 2017 – The very same bloated, slimy, pompous right-wing and centrist criminals who 12 months ago shamelessly draped themselves in ethics, religion and morality to oust Dilma Rousseff banded together to ensure that their fellow criminal who rules the country will face no consequences. Their votes were purchased by Temer using public funds. The President spent the last two months hauling them, one after the next, into his palace to shower them with public largesse until they agreed to block any investigation of him. One could almost say that Chelsea Manning’s 2010 leaking to WikiLeaks has faded into the background when assessing her true impact as a human being. The principal problem for Democrats is that so many media figures and online charlatans are personally benefiting from feeding the base increasingly unhinged, fact-free conspiracies — just as right-wing media polemicists did after both Bill Clinton and Obama were elected. 28 Feb 2017 – The New Yorker is aggressively touting its 13,000-word cover story on Russia and Trump that was bylined by three writers, including the magazine’s editor-in-chief, David Remnick. The most astonishing aspect of the discourse on Russia is how little attention is paid to the risks of fueling a new Cold War. Foreign villains must always be omnipotent, and anyone questioning that must be disloyal. The FBI’s Secret Rules, based on a trove of long-sought confidential FBI documents, shines a bright light on the vast powers of this law enforcement agency, particularly when it comes to its ability to monitor dissent and carry out a domestic war on terror, at the beginning of an era highly likely to be marked by vociferous protest and reactionary state repression. The Paper of Record publishes a claim it knows to be false about the Snowden reporting. Why? Trump’s critics can do him no bigger favor than using dubious, discredited tactics to attack him. 4 Jan 2017 – In the past six weeks, the Washington Post published two blockbuster stories about the Russian threat that went viral: one on how Russia is behind a massive explosion of “fake news,” the other on how it invaded the U.S. electric grid. Both articles were fundamentally false. Each now bears a humiliating editor’s note grudgingly acknowledging that the core claims of the story were fiction. 25 Nov 2016 – O impeachment de Dilma não foi realizado para punir corruptos, mas para protegê-los. Nas duas últimas semanas, vimos dois novos escândalos de corrupção que confirmaram esse ponto de vista muito além do que seus defensores imaginavam ser possível. Em pouco tempo de mandato, Temer já perdeu cinco ministros por escândalos, mas as mais novas controvérsias são as mais graves até o momento. The argument that impeachment would empower and protect the corrupt is now completely vindicated. 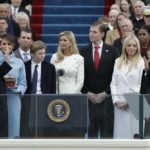 Trump has not yet been inaugurated, but all signs point to a presidency that will be deeply hostile to basic precepts of transparency. The Intercept is determined to enable sources to work with journalists in the safest way possible. Ce faisant, le Washington Post a réalisé un exploit ignominieux dans l’histoire des médias US : être le premier journal à avoir explicitement demandé des poursuites pénales contre sa propre source – sur le dos de qui le journal a remporté et accepté avec empressement un Prix Pulitzer du Service Public. Mais encore plus stupéfiant que cet acte de trahison journalistique contre la propre source du journal sont les arguments avancés pour le justifier. The Washington Post received countless benefits off Snowden’s back; now its editorial page wants him imprisoned. 23 Sep 2016 – Speaking to a group of U.S. business and foreign policy elites, the country’s installed president, Michel Temer, admitted that what triggered the impeachment process was not any supposed “budgetary crimes,” but rather Dilma’s opposition to the neoliberal platform of social program cuts and privatization demanded by Temer’s party and the big-business interests that fund it. A denúncia de Sanders é feita enquanto a situação do presidente interino do Brasil continua a se desmoronar. It’s one thing for Brazil’s plutocratic media to openly incite and agitate the fall of a democratically elected government. As Reporters Without Borders found, that behavior poses a direct threat to both democracy and press freedom. But it’s quite another to watch as they simply manufacture headlines and false narratives to suggest that a large portion of the country supports the individual who seized power undemocratically when they plainly do not. Surprising or not, the Clinton-led Democratic Party’s hostility toward the most basic precepts of equality and dignity for Palestinians, and their willingness – their eagerness – to support and cheer for the most extremist Israeli acts of oppression, racism and decades-long occupation, is nothing short of despicable. 13 Jul 2016 – Alex Cuadros spent years covering the billionaire class of Latin America for Bloomberg. A Portuguese-speaking American journalist who spent years based in Brazil, he has now written a highly entertaining and deeply insightful book about the particularly powerful, flamboyant, assertive, and often-crazed class of Brazilian billionaires. Titled Brazillionaires: Wealth, Power, Decadence, and Hope in an American Country, his new book was released yesterday. Elio Gaspari, importante colunista da Folha de São Paulo, maior jornal brasileiro, escreveu na terça-feira [28 junho] – sob o título “Há Golpe” – que, à luz deste novo relatório, o Impeachment de Dilma é um golpe no sentido de que é realizado sem eleições: por “estratagemas” através de “práticas ardilosas”. Enquanto isso, o partido de Temer, PMDB, é virtualmente o mais corrupto deste hemisfério. Now that Dilma is impeached, where have the “anti-corruption” protesters gone? Agora que Dilma está afastada, pra onde foram os manifestantes anticorrupção? Apenas 20 dias após assumir o poder, provas irrefutáveis do envolvimento do Presidente interino Michel Temer em escândalos de corrupção vieram à tona. Dois ministros interinos de seu gabinete composto apenas de homens brancos, incluindo o Ministro da Transparência, foram forçados a abandonar seus cargos depois do aparecimento de gravações secretas em que conspiram visando obstruir as investigações nas quais se encontram envolvidos, assim como 1/3 dos ministros do gabinete interino. A mere 20 days into the seizure of power by the corruption-implicated “interim” President Michel Temer, overwhelming evidence has emerged: Already, two of the interim ministers in his all-white-male cabinet, including his anti-corruption minister, have been forced to resign after the emergence of secret recordings showing them plotting to obstruct the ongoing Car Wash investigation (in which they, along with one-third of his cabinet, are personally implicated). Na terça-feira [17 de maio], conversei com a Presidenta Dilma no Palácio do Planalto em sua primeira entrevista após ser suspensa. A entrevista de 22 minutos encontra-se logo abaixo. Em lugar de se comportar de forma subjugada, conformada ou derrotada, Dilma – presa e torturada por três anos pela ditadura militar que governou o país com o apoio dos EUA por 21 anos – está mais firme, combativa e determinada do que nunca. We encourage other journalists, researchers, and interested parties to comb through these documents, along with future published batches, to find additional material of interest. Others may well find stories — or clues that lead to stories — that we didn’t. A primary objective of these batch releases is to make that kind of exploration possible. On Tuesday [17 May], I spoke to President Rousseff in the presidential palace for her first interview since being suspended. The 22-minute interview, conducted in Portuguese with English subtitles, is below. Rather than subdued, resigned, and defeated, Rousseff — who was imprisoned and tortured for three years in the 1970s by the U.S.-supported military dictatorship that ruled the country for 21 years — is more combative, defiant, and resolute than ever. 11 May 2016 – Brazil’s senate voted this week to begin impeachment proceedings of Dilma Rousseff, suspending the nation’s first female president as she is put on trial by politicians neck-deep in their own scandals. Our co-founder Glenn Greenwald has written blistering critiques of the political turmoil from Rio de Janeiro, where he has lived for 11 years. “They are literally dismantling — crushing — democracy in the world’s fifth-largest country,” he writes. O sucessor será o Vice-Presidente Michel Temer, do PMDB. Ele está submerso em corrupção: foi acusado por delatores de envolvimento em um esquema ilegal de compra de etanol, acaba de ser considerado culpado, e multado, por irregularidades nos gastos de campanha, e enfrenta a possibilidade de ficar inelegível por 8 anos. Ele é profundamente impopular: apenas 2% dos brasileiros o apoiariam como presidente, e quase 60% querem seu impeachment. Mas ele servirá fielmente aos interesses dos ricos do Brasil. “Gostaria de expressar meu apoio a liberdade de imprensa e a Democracia, que é exatamente o que não está acontecendo no Brasil nesse momento. Sou contra o Golpe,” disse o herói brasileiro, também denunciando a Globo. Brazil’s media has completely lost control of the narrative internationally, but also increasingly within Brazil. Their sleazy plan to install as president the corruption-tainted, deeply unpopular, oligarch-serving Vice President Michel Temer – who just this week, in a indescribably Orwellian manner, called proposals for “new elections” a “coup” – is becoming untenable. One officer was suspended from command and ordered out of Afghanistan. The others were given lesser punishments: Six were sent to counseling, seven were issued letters of reprimand, and two were ordered to retraining courses. Uma pesquisa recente mostrou que apenas 2% dos brasileiros votariam no Vice-Presidente do Brasil Michel Temer. Ele está sob suspeita por conta de um depoimento que ligou seu nome a um enorme escândalo de propina. E uma alta corte da justiça decidiu que o Congresso deve considerar a abertura de impeachment contra ele. No entanto, está se preparando para assumir o Brasil no próximo mês se o Senado decidir depor a Presidente Dilma Roussef em julgamento. One recent poll found that only 2 percent of Brazilians would vote for Michel Temer, Brazil’s vice president. He is under scrutiny over testimony linking him to a colossal graft scandal. And a high court justice ruled that Congress should consider impeachment proceedings against him. He is preparing to take the helm of Brazil next month if the Senate decides to put President Dilma Rousseff on trial. Facing one of the worst scandals of his political career, including a criminal investigation, Lula is more challenging than ever and shows willingness to face the presidential elections of 2018. Enfrentando um dos piores escândalos de sua carreira política, incluindo uma investigação criminal, Lula é mais desafiador do que nunca, e se mostra disposto para a corrida presidencial de 2018. Vital journalism does not only expose law breaking. It also highlights how corrupted political and legal systems can be co-opted by the most powerful in order to legally sanction atrocious and destructive behavior that serves their interests, typically with little or no public awareness that it’s been done. 3 Apr 2016 – That “terrorism” is a malleable term of propaganda, with no fixed meaning or consistent application, is now quite well-established. All forms of resistance to Israeli occupation — violent and nonviolent — are deemed illegitimate. U.S. media outlets bombard us with images and dramatic narratives highlighting our own side’s victims, while the victims of our side’s violence are rendered invisible. Tudo isso parece historicamente familiar, particularmente para a América Latina, onde governos de esquerda democraticamente eleitos tem sido repetidamente removidos do poder por meios não legais ou democráticos. A mídia internacional está apresentando os protestos de rua como uma revolta nobre e populista. Os fatos são muito mais complicados. Western media are depicting street protests as a noble populist uprising. The facts are much more complicated. It all seems historically familiar, particular for Latin America, where democratically elected left-wing governments have been repeatedly removed by non-democratic, extra-legal means. 16 Feb 2016 – The U.K. government today announced that any entities that support or participate in the global boycott of Israeli settlements will face “severe penalties.” It is, needless to say, perfectly legitimate to argue against BDS and to engage in activism to defeat it. But only advocates of tyranny could support the literal outlawing of the same type of activism that ended apartheid in South Africa merely on the grounds that this time it is aimed at Israeli occupation. Where Were the Post-Hebdo Free Speech Crusaders as France Spent the Last Year Crushing Free Speech? One year ago, millions marched in Paris in defense of free speech. Why, then, is the systematic attack on free speech rights in France now ignored? 16 Nov 2015 – Already this morning, as Aaron Cantú noticed, the stocks of the leading weapons manufacturers — what is usually referred to as the “defense industry” — have soared. Where are all the newfound free speech activists who insisted after the Charlie Hebdo murders that a defense of free expression was so vital to all that is good and just in the Western world? Why isn’t the #JeSuisBDS hashtag trending in defense of these activists who have been persecuted — prosecuted — by France for their political views? Several reports suggest that this hospital has been viewed with hostility because it treats all injured human beings, regardless of which side they’re on. “The hospital treated the wounded from all sides of the conflict, a policy that has long irked the Afghan security forces,” reports the NYT. Al Jazeera notes that “a caretaker at the hospital, who was severely injured in the air strike, told Al Jazeera that [the] clinic’s medical staff did not favor any side of the conflict. Support for human rights abuses and tyranny – not opposition to it – is a staple of U.S. foreign policy. Standing alone, how can anyone believe that the same government that lavishes the Saudi regime with support is waging war or other using forms of violence in order to stop human rights abuses? For the NYT to tell its readers that the U.S. — one of the leading cluster bomb states on the planet — is actually one of the countries that “have not yet joined the treaty but have abided by its provisions” is nationalistic propaganda of the most extreme kind. Jorge Ramos, the influential anchor of Univision and an American immigrant from Mexico, has been denouncing Trump’s anti-immigrant rhetoric. Yesterday at a Trump press conference in Iowa, Ramos stood and questioned Trump on his immigration views. The FBI on Friday [24 Jul] announced the arrests in Oakland of two animal rights activists and accused the pair of engaging in “domestic terrorism.” This comes less than a month after the FBI director said he does not consider Charleston Church murderer Dylann Roof a “terrorist.” The activists’ alleged crimes: “They released thousands of minks from farms around the country and vandalized various properties.” That’s it. James Comey somberly warned that ISIS now officially poses a bigger threat to the ‘U.S. homeland’ than the one posed by former title-holder Al Qaeda – because, of course, the Latest Threat must always be the Greatest Threat. 1 Jul 2015 – One of the National Security Agency’s most powerful tools of mass surveillance makes tracking someone’s Internet usage as easy as entering an email address, and provides no built-in technology to prevent abuse. Today, The Intercept is publishing 48 top-secret and other classified documents about XKEYSCORE. Around the world, when a person gets online to do anything — write an email, post to a social network, browse the web or play a video game — there’s a decent chance that the Internet traffic her device sends and receives is getting collected and processed by one of XKEYSCORE’s hundreds of servers scattered across the globe. 4 Jul 2015 – President Rousseff just yesterday returned to Brazil after a trip to the U.S. that included a meeting with President Obama, a visit she had delayed for almost two years in anger over prior revelations of NSA spying on Brazil. GCHQ needed to reverse engineer software to hack into computer networks — so it decided to secretly reinterpret British law. Then it abused its newfound powers, ignoring internal guidelines. Whatever your views on all this nasty surveillance business might be, how can you not feel good about GCHQ when it drapes itself in the colors of LGBT equality? This is all a stark illustration of what has become a deeply cynical but highly effective tactic. As I’ve argued many times, all applications of hate speech laws are inherently tyrannical, dangerous and wrong, and it’s truly mystifying (and scary) that people convince themselves that their judgment is so unerring and their beliefs so sacrosanct that it should be illegal to question or dissent from them. 30 Apr 2015 – Contrary to media accounts claiming that only 6 PEN members have objected to the group’s decision to bestow Charlie Hebdo with an award, the actual number is currently 145 PEN members. Below is the letter drafted by several of the objecting writers, along with the current full list of signatories. A TV commentator in Australia, Scott McIntyre, was summarily fired on Sunday [26 Apr 2015] by Special Broadcasting Services on “Anzac Day,” a national holiday that marks the anniversary of a military action by Australian and New Zealand forces in WWI, due to a series of tweets about the violence committed by the Australian military. 24 Apr 2015 – In all the years I’ve been writing about Obama’s drone killings, yesterday featured BY FAR the most widespread critical discussion in U.S. establishment journalism circles. The reason for the unusually intense, largely critical coverage of drone killings yesterday is obvious: the victims of this strike were Western and non-Muslim, and therefore were seen as actually human. The only way to exclude Iranian voices is if you choose to exclude them. That’s exactly what Sunday morning television programs have done, and the result is pure propaganda. 19 Mar 2015 – German Vice Chancellor Sigmar Gabriel said this week in Homburg that the U.S. government threatened to cease sharing intelligence with Germany if Berlin offered asylum to NSA whistleblower Edward Snowden or otherwise arranged for him to travel to that country. Just as Bush administration and U.S. media re-labelled “torture” with the Orwellian euphemism “enhanced interrogation techniques” to make it more palatable, the governments and media of the Five Eyes surveillance alliance are now re-branding “mass surveillance” as “bulk collection” in order to make it less menacing (and less illegal). What rational person would ever willingly submit themselves to a penal state that imprisons more of its citizens than any other in the world, run by people with this mentality? The U.S. has already provided “non-lethal” aid to Ukrainian forces, and Obama has said he is now considering arming them. Who, exactly, would that empower? Russian President Vladimir Putin has long said that the Ukrainian coup of last year, and the subsequent regime in Kiev, is driven by ultra-nationalists, fascists, and even neo-Nazi factions. 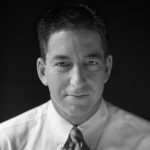 The film, which has been hailed as a real-life thriller, chronicles Snowden’s effort to securely contact Poitras and Glenn Greenwald in 2013 and meet them in Hong Kong, where Poitras filmed Snowden discussing the thousands of classified NSA documents he was leaking to them, and his motives for doing so. The film takes its title from the pseudonym Snowden used when he contacted Poitras in encrypted emails that were revealed in her documentary. Since 2011, Libya has rapidly unraveled in much the way Iraq did following that invasion: swamped by militia rule, factional warfare, economic devastation, and complete lawlessness. And to their eternal shame, most self-proclaimed “humanitarians” who advocated the Libya intervention completely ignored the country once the fun parts — the war victory dances and mocking of war opponents — were over. 4 Feb 2015 – The U.S., U.K. and Canadian governments characterize hackers as a criminal menace, warn of the threats they allegedly pose to critical infrastructure, and aggressively prosecute them, but they are also secretly exploiting their information and expertise, according to top secret documents. The covert operation, revealed Wednesday [28 Jan 2015] by CBC News in collaboration with The Intercept, taps into Internet cables and analyzes records of up to 15 million downloads daily from popular websites commonly used to share videos, photographs, music, and other files. Hugo Chávez was elected President of Venezuela four times from 1998 through 2012 and was admired and supported by a large majority of that country’s citizens, largely due to his policies that helped the poor. King Abdullah was the dictator and tyrant who ran one of the most repressive regimes on the planet.